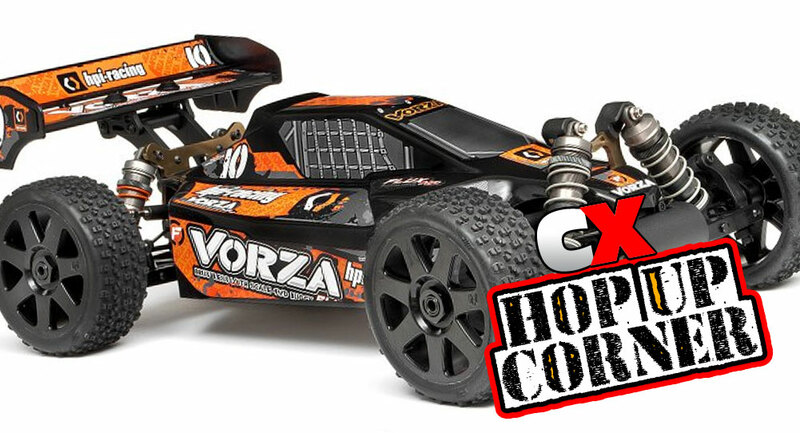 For this installment of Hop Up Corner, we’re going to check out some of the best upgrades for your HPI Racing Vorza . As of this writing, this buggy is still pretty new but we’ve come across some cool upgrades that are sure to catch your eye! Let’s check them out! 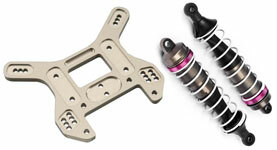 The Vorza already comes with a really good suspension system that has alot of tuning adjustments. The one area, however, that has been addressed by the people that race them is the rear suspension, mainly the rear tower and rear shocks. Adding the #67210 High Mount Rear Shock Tower and HPI Racing 112mm Big Bore Shock Set adds more droop to the rear of the car, something that helps stabilize the buggy on slicker surfaces. 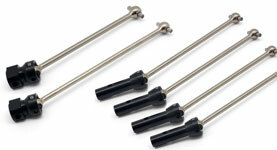 The parts bolt on without any issues – simply remove the old tower and replace with the new; same with the shocks. You’ll notice an immediate difference in the rear droop when the buggy sits static as well as a much easier attitude when driving on slippery surfaces. The Vorza comes loaded with a brutally fast 2200kV Flux power system that is capable of shredding the tires right off the wheels. 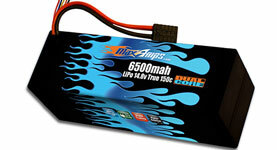 The pull the most performance from this system, you need a healthy dose of LiPo power – thus the reason I chose the MaxAmps 6500mah 14.8v LiPo Battery . I’ve used the MaxAmps packs in quite a few projects and have never been disappointed in their power or longevity. You can get them with a number of different plug configurations (I suggest the Deans for the Vorza) and they have a JST-XH connector for easy balancing. The hard outer case also stands up to quite a bit of punishment and fits snugly in the battery tray on the Vorza. Note that if you do decide to go with a single 4S pack, you’ll need to pick up a Single Pack Deans Adapter. The drivetrain on the Vorza is pretty solid – it needs to be to handle the brutish Flux system. That doesn’t mean, though, that it can’t benefit from some lightweight parts. To help reduce rotating mass and increase acceleration, I suggest picking up a full set of WCE (World Champion Edition) universal axles. There are two in the center (Front: Hot Bodies D8 78mm Center Driveshaft Set ; Rear: Hot Bodies D8 105mm Center Driveshaft Set and a set for all four corners of the buggy (Hot Bodies D8 92mm WCE Universal Drive Shaft Set These are made from aluminum and will bend alot easier than the stock steel parts, so these are only suggested if you plan on racing or backing off a bit from your supreme bashing moments. Unfortunately, the Vorza didn’t make the cut when it came to aftermarket bodies. 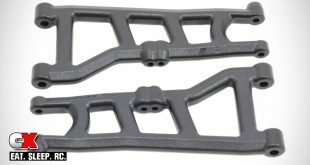 I’m sure with a little persuasion you could make a few other bodies work, but for now I would suggest getting a Clear HPI Racing VB-1 Buggy Body . Paint it how you like and sticker it up, but know that this is a direct fit and won’t give you any trouble when it comes time to mount it. 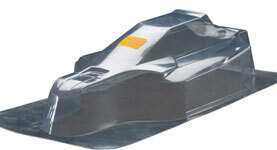 It comes with a decal sheet and window masks and is extremely durable, being made from thick Lexan. The wing is sold separately in black (HPI Racing 1/8 Deck Wing Black ), but a white version (Hot Bodies 1/8 Deck Wing White is available from the Lightning Series that works as well. The kit tires are great for everyday use, but if you want something with a little more traction, I suggest checking out any of Proline 1/8 Scale Tires . 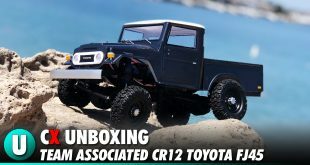 If I were to choose, I’d really look at something like the Pro-Line Racing Blockade M3 Off-Road 1:8 Buggy Tires . These tires work great on a variety of surfaces and the M3 compound is soft, but not too soft that they wear out fast. They come pre-mounted, but when you’re going for style who likes the boring dish wheel. 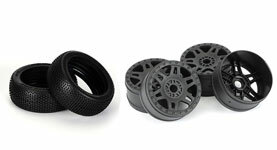 Thankfully Proline has a solution for that as well – check out the Pro-Line Racing Split Six V2 Black Wheels . These wheels will mate up perfectly with the Blockades for a more custom look. If you’re going to invest in a new battery (or pair of batteries), you might as well pick up a charger that is going to take care of them. 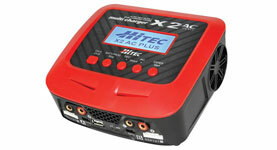 The Hitec X2 AC Plus Dual Charger is a perfect solution, allowing you to charge one or two packs at a time. It has a very intuitive LCD display, easy button-through menu and a built in power supply. 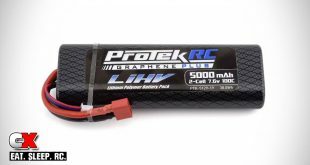 It can charge up to 6S LiPo, 15 NiCd/NiMh cells and even lead acid batteries, has adjustable charge current (up to 10A) and even has a place to plug in your phone (via USB port). I’ve used Hitec charges for a long time and have to admit they are one of my favorites. Plus they look good in red! 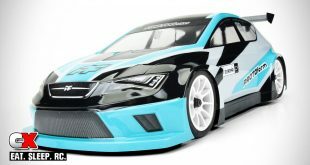 HPI did a great job with the Vorza and, as you can see, there isn’t much we could do to make it ‘better’ – just a little more fun. Hopefully this article has helped you achieve that.